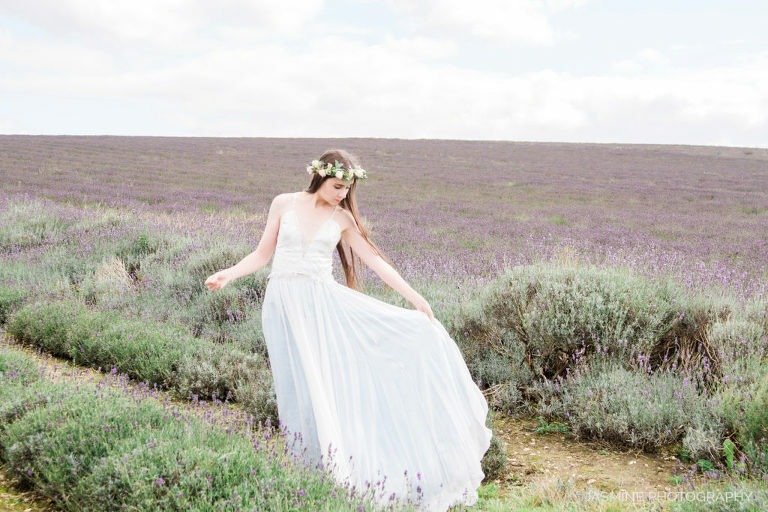 My inspiration for this editorial was the feeling of freedom when you are surrounded with an endless field of lavender. The sweet, calm scent of the air around us was divinely gentle and all our wanderlust hearts wanted to do is to set free and fly. 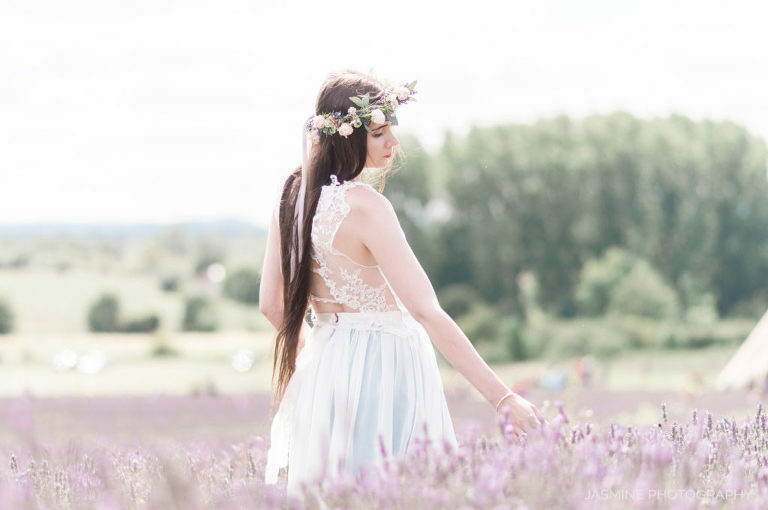 This romantic lavender field dreamy boho bridal photoshoot will have you yearning for an intimate outdoor wedding. Take this as an inspiration. I have come across many vendors who have been incorporating Pantone’s colour of the Year into their wedding decor and design overall. This saturated, bright colour looks incredible when used in bridal bouquets, bridesmaids dresses or flower walls. A pop of ultraviolet mixed with muted pinks and gold will give out a bold and imaginative element to any wedding design. We wanted to go modern romantic style. 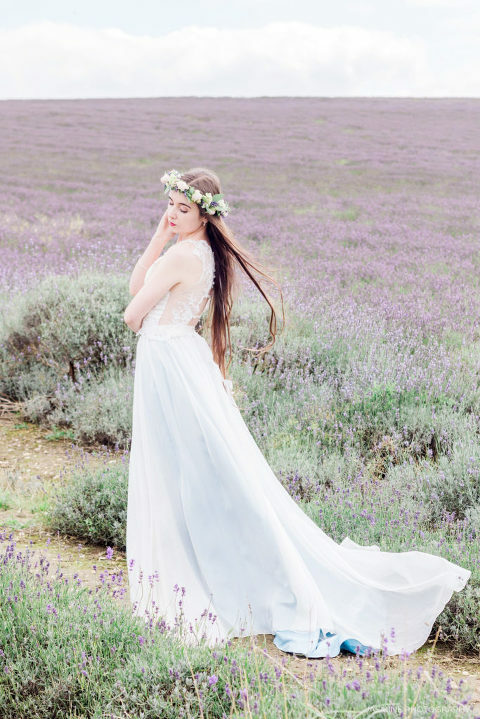 Hence London based fashion designer Jessica Turner’s bridal separates where the perfect choice for us. 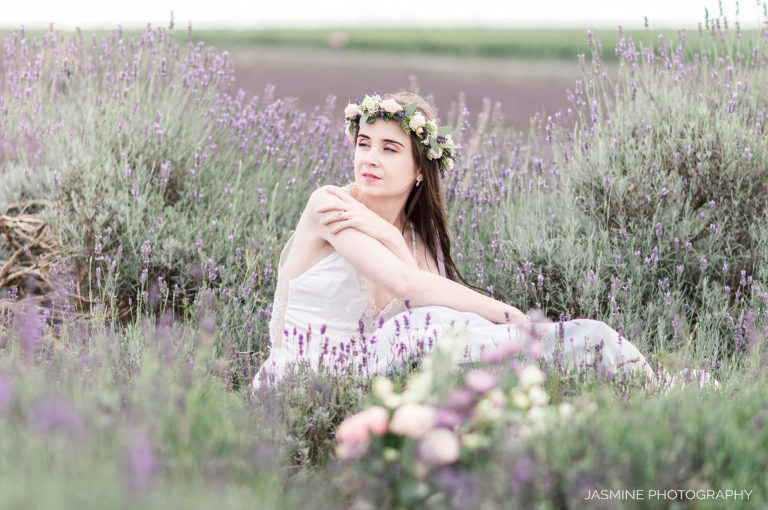 The soft background of Lavender Fields was complimenting to the entire editorial photoshoot, almost giving a wanderlust feel. The cool breeze was adding to the romance when softly floating through the silk skirt. 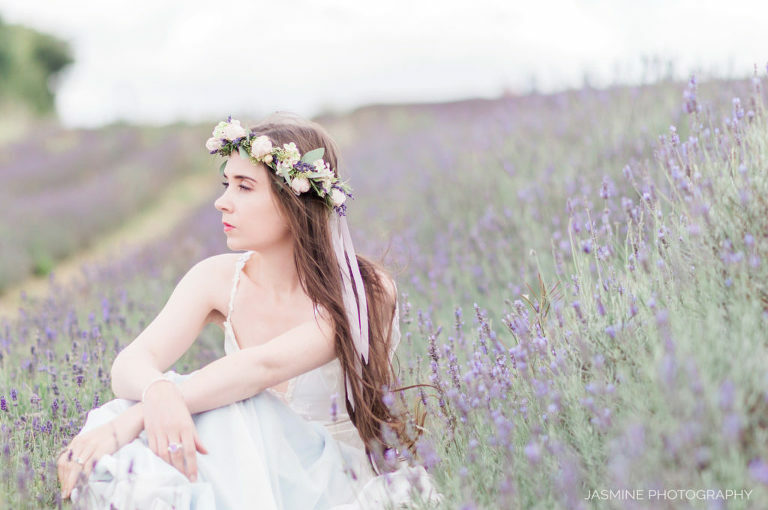 Sam of Violets and Velvet Bespoke Floristry designed a fine art centrepiece and bridal bouquet to fit perfectly with the colour scheme of our editorial. It’s unbelievable how the flowers have that magic power of bringing more love and joy into our lives. In this case our editorial. Ofe of Ollie’s Studio added the much-needed hint of sparkle to the wedding stationery that is always necessary. And talking of sparkles, we were lucky to have the opportunity to feature the rings provided by talented Jade. She designs and handmakes all of her jewellery in London.